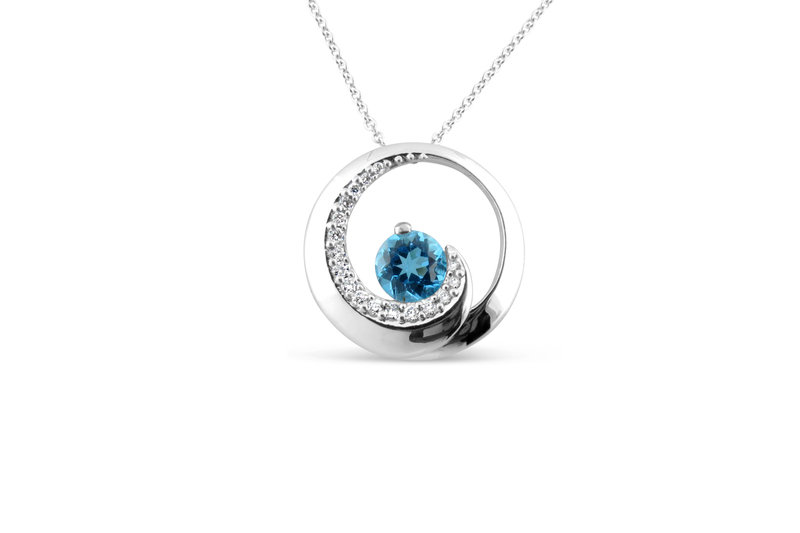 Spiral circle wave 14kt white gold pendant with a center vivid blue round topaz, 1.30 carat, and 17 side round diamonds, total weight .20 carats. Hanging from a 16″ 14kt white gold cable chain. Can be made with other gemstones in the center. Please contact for pricing.